I started out with the obvious selection this day. Spencer Harbar on UPS. For those of you who don’t know that name. He is the GOD on UPS, he has probably saved more UPS installations than anyone else. Spencer talked about the new and improved UPS in SharePoint 2013, what really is new (because a lot isn’t) is the 3 modes you can choose between. The reintroduced AD Import probably does what the majority of all customers want, a simple synch of user profile data to SharePoint. It is import only and simpler than UPS, but it gets you the basics and more. The Profile data is even entered into the Managed metadata Term store. Really nice. Simple to configure and really a nice new option. UPS, same as before, the real deal. All in all, a really great session that gave a lot of good info and most of all, hope, that UPS will be better this time. And, Spencer Harbar is the man, no question! Again, a very good session. 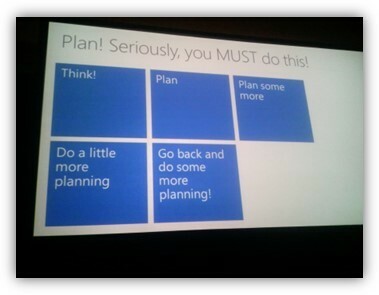 Things to think about from two Consultants from Microsoft Consulting Services. Really valuable content, experiences from real migrations that is hard to come by. Key, same as with UPS and Everything else, planning! Proper planning could have made them all 100% successfull. Deep dive to plan and Prepare for your users to interact with SharePoint from their Mobile devices. With apps coming out, like the Office hub and the SharePoint news reader, it will be a good offering to SmartPhone users. Customizing the way SharePoint 2013 looks. 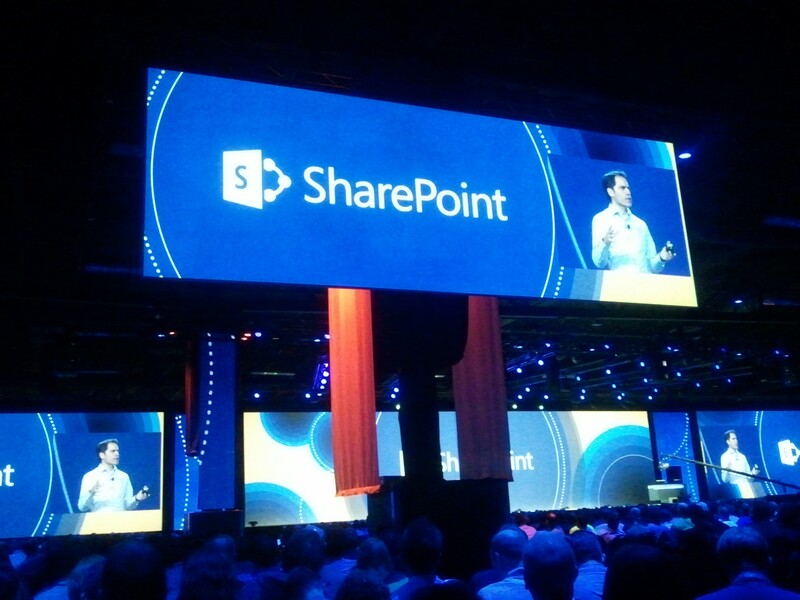 A session on theme’ing and branding in SharePoint 2013. A really good session that showed us how to build your own themes and theme colors and also masterpages and css. The story on branding in 2013 just got a lot better. The traditional ask the experts evening shared it with the exibit, all partners were in Place and showeed their solutions and companies to all that were interested. I spent some time today here at lunch as well and by now, it feels like I have seen most and talked to the ones I am interested in. Ok, that was it. More fun tomorrow. That is the last day of the Conference and sessions are only planned for half the day. We’ll see what happens then. Stay tuned, this me, signing out, from day two of my SharePoint conference experience.